Music for Maniacs: Behold, the Daxophone! The FUNNIEST Instrument Ever?!? This may be the most unlistenable thing you've ever posted. Not sure if I mean that as a compliment or not. Hi, very cool things in this blog, a lot of discoveries, thanks a lot! I build instruments since the year 00 and actually play some tribal percussive pieces on it with the "Why the eye" band in Brussels. Wonderful badger music, but difficult to find out how Mr. Reichel really performs it. 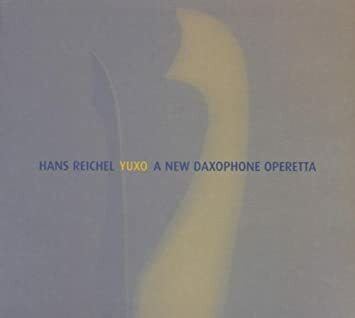 This demo: https://www.youtube.com/watch?v=F0IZxu3OJt8 seems to show that the daxophone is monophonic, so Reichel must be doing a lot of multitracking and mixing. Perhaps I identify with dachsophone (previous spelling) because of the dachshund (badger hound) who once mistook the back seat of a Volkswagen for a badger hole, and myself for a badger, so he grabbed me by the nose to drag me out of the hole. Totally correct dachshund technique, and musical in its own nasal growling way. Thanks. I have a hard-copy of 'Shanghaied..' but don't have this one. For his wonderful work with self-built and modified guitars I'd recommend 'Coco Bolo Nights', whose treasures include 'Little Stick, Western Bullship' wherein a plucky but rusty old bathroom suite gets up to do 50s Chicago at a karaoke night. Good stuff. Really enjoyed the album! Very smooth and relaxing sounds and well crafted melodies. Reminds me of a bit of the residents conceptual stuff like "Eskimo" and "Not Available". I couldn't imagine that just vibrating a wood can make a great tune! And if you're looking for a funnier intrument, check "Otamatone".